We’re thrilled that several new musicians have joined our music outreach to share their talents over the past several months. Thanks to them we are now able to expand into more facilities. 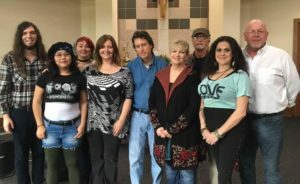 So happy to have Perry Moran, Christina Smith, Jasmine Sauseda, Scotty Wig, Bree Parker, David Holloway, Miranda Clark, and Donnie Mills join us!